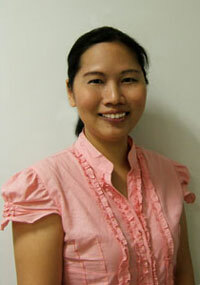 Dr. Chng Hui Kheng graduated with a Bachelor of Dental Surgery from the National University of Singapore in 1996. She then attended The University of Melbourne, Australia where she obtained a Graduate Diploma in Clinical Dentistry and Master of Dental Science (Endodontics) in 2000. Dr. Chng is on the Roll of Specialists (Endodontics) (2004), and a Fellow of the Academy of Medicine, Singapore. Dr. Chng was previously an Assistant Professor with the Department of Restorative Dentistry, National University of Singapore (2001-2005) and has taught in both the undergraduate and the post-graduate Endodontic Residency Programme. Her research interest in Endodontics and dental hard tissues has resulted in 2 patents being filed, in addition to the numerous scientific papers and abstracts in peer-reviewed journals. Dr Chng continued to serve the National University of Singapore from 2011-2014 as adjunct senior lecturer. Dr. Chng is a member of the Singapore Dental Association, and Society of Endodontists, Singapore. As Chairperson of a subcommittee within the Society of Endodontists, Singapore, Dr. Chng first authored a set of guidelines on root canal treatment in Singapore and this was adopted by the society and published in a report in the Singapore Dental Journal in Dec 2004. Dr. Chng has been in private practice, RCOLL since 2006, with her practice limited to Endodontics.